The EG1M Signal Master is a simple-to-use accessory that adds enhanced features to Genesis strobes and horn/strobes as well as 2400 Series strobes. It is a dual-purpose module that provides precision synchronization for connected strobes, and independent control for connected Genesis horns over a single pair of wires. 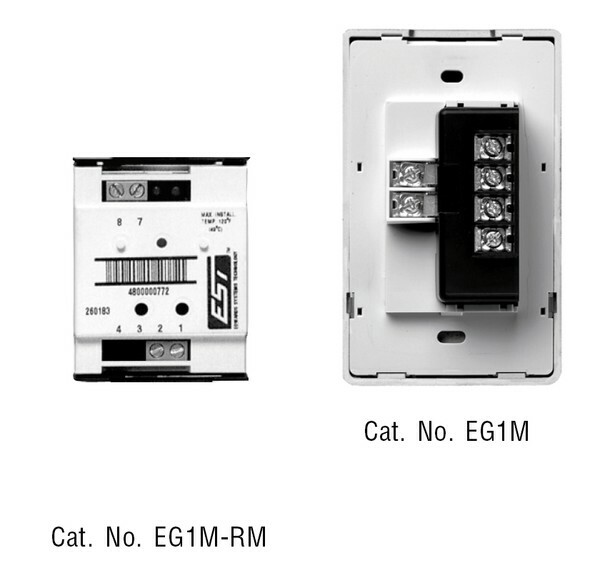 The EG1M Series is for use with 2400 Series and EBPS panels. If using FireShield Series panels, the EG1M is not required as the synchronization feature is built into the panel. All Genesis and 2400 Series are self-synchronizing. 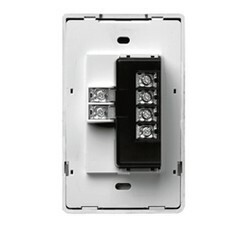 When installed with the Signal Master, strobe flashes from devices on the same circuit are synchronized to within 10 milliseconds of each other indefinitely. This exceeds the latest UL 1971 requirements, which specify this level of synchronization over only two hours. When installed with Genesis horn/strobes, the Signal Master permits independent horn control (on, off, and coded signals) over a single pair of wires. Two methods of horn control are available: traditional NAC signal silence or normally-closed contact. Both methods may be used to silence horns without turning off strobes on the same circuit. Two mounting options ensure trouble-free installation of the Signal Master Module. The EG1M "snap-on" piggyback model doesn't require a separate electrical box. It simply snaps to the back of the first Genesis signal on the circuit. The EG1M-RM remote mount model mounts in a North American 2 1/2 inch (64mm) deep one-gang box. It may also be mounted directly to the rails provided inside EBPS Remote Booster Power Supply cabinets.